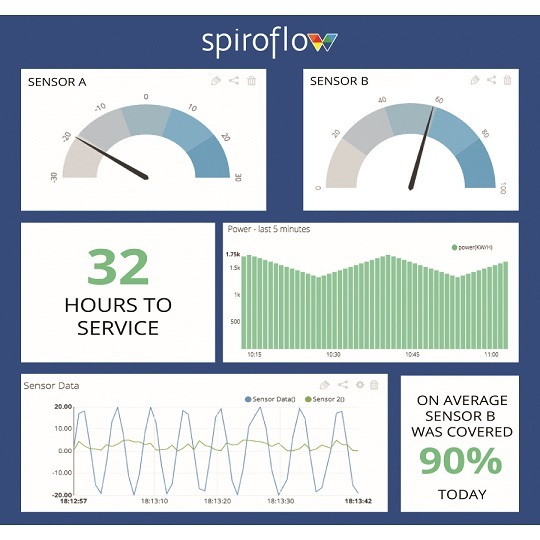 Bulk materials handling specialist Spiroflow has launched a monitoring system that remotely provides real time information on the performance of its complete machinery range, from flexible screw conveyors to tubular drag and aeromechanical conveyors. The SAM (Spiroflow Active Monitoring) system can connect remotely via 4G/5G or Wi-fi and is built into the standard electrical panel on your machinery. By monitoring equipment performance, SAM can provide customers with a custom set of graphs showing amalgamated data from all available sensors. By delivering data remotely to the right person at the right time, customers can potentially eliminate unplanned downtime.